Employees join unions because they believe there is a lack of respectful communication between them and their employer. Sometimes there is a lack of community in the workplace, making it easy for an outside union to come in and represent employees. Unions are using social media to remain union-free and to build a community with their members and prospective targets; you need to as well. This is where social media can be a powerful tool to help you remain union-free. The purpose of social media is to build communities and facilitate camaraderie. When done correctly, social media can enhance your employee communications, help you retain top talent, reduce costs, promote innovation and facilitate the sharing of institutional knowledge, all while improving internal communications and keeping your employees happy–two necessary elements for union avoidance. Here are tips on using the two most powerful social media platforms, Facebook and Twitter. One concern is that some employees might be hesitant to share their Facebook profile with you because they do not want to blur the line between their personal and professional lives. You need to make it clear that the purpose of this program is not to gain access to the personal lives of employees, but to facilitate communication. Consider adopting a policy where information found on an employee’s Facebook wall will not be used in HR decisions. Did you know that Twitter’s origins were actually rooted in internal corporate communication? Designed for fast, short updates, Twitter grew to be so much more than that. Now, Twitter is a public forum, and you cannot create a private area, but Twitter can still be an effective tool for employee communication, as it allows for private direct messaging between individuals. 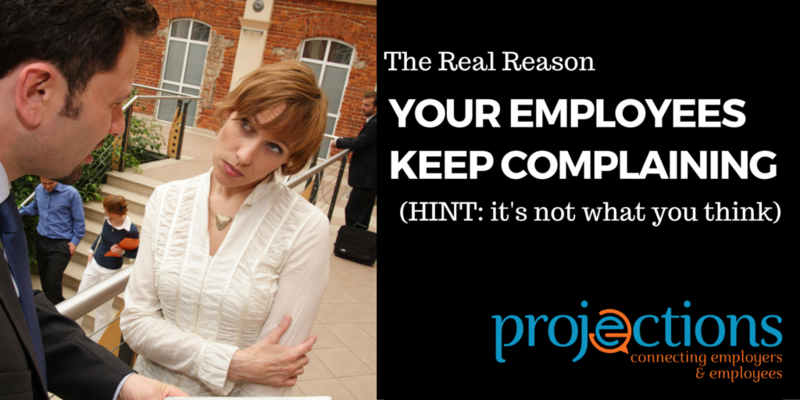 This function can allow you to quickly address internal issues privately. For this to work, you need to respond to all messages and issues, even if it is something you do not want to hear. If you only respond selectively, using Twitter in this way will be entirely ineffective and might actually hinder your mission to remain union-free. Don’t fear using social media to create a sense of community among your employees and to remain union-free. Remember that some will participate, and some will not, and you must have other means of reaching those who don’t care for it. This can include video, websites, even dedicated eLearning programs, all of which can convey your union-free philosophy and the reasons for it. Finally, remember the “social” part of social media – this is a two-way conversation between the company and it’s employees. In fact, it can turn into much more than that when employees start conversing with each other. Knowing that, you must maintain your social media presence with regular posts, respond in a timely way to comments and questions, and make sure those in charge of administration of these outlets are well versed in the policies and procedures you have in place. Make those policies known to all participants, and never let employees use abusive language or attack one another on any social platform. 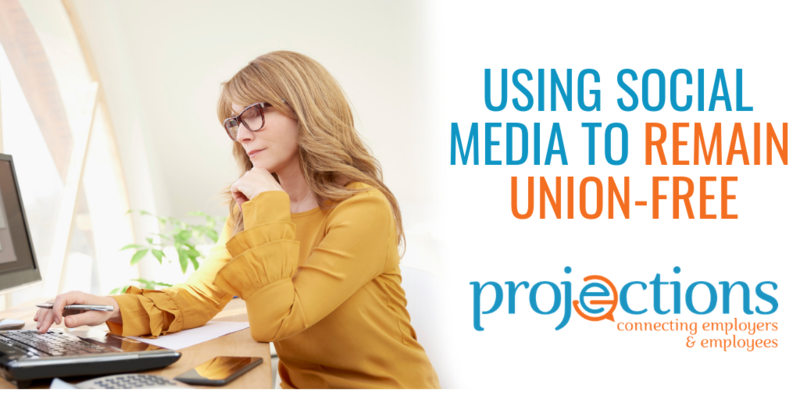 Want to improve your social media presence for employee communications to remain union-free? The Union Proof team can help guide you on the best ways to get started! Want to see how we do it? Sign up for our Insider Network by clicking here. When you join, you can also take part in our private Facebook group and get cutting-edge tips on how to create your union proof workforce. What makes an outstanding employee onboarding video? Of course, the content is vital – you want to make sure your new hires get inspired and confirm that their decision to come on board was a great one. But what makes your orientation video really memorable and impactful? Is it a great customer testimonial? A strong narrative? Good production values? The truth is, it’s all of the above. Here are five examples of killer onboarding videos that optimize employee orientation. Dunkin’ Donuts doesn’t rely on fancy graphics to get their message across. This simple onboarding video features franchise owner Scott Fanning, who introduces the Dunkin’ Donuts brand and explains to viewers what it’s really like to work for the company. The video then incorporates reconstructions of several common customer service situations that new hires will find soon themselves in — serving food, communicating with customers, handling payments, etc. Travel comparison website Trivago introduces viewers to its company culture with a behind-the-scenes look at its headquarters in Dusseldorf, Germany. This documentary-style onboarding video features a “day in the life” of new hires on their first day on the job. Essentially, new hires are watching new hires as they interact with each other and integrate into the company culture. Pieces-to-camera from members of staff punctuate the documentary footage. The United States Environmental Protection Agency (EPA) uses a combination of on-screen graphics and pieces-to-camera to illustrate its values, objectives, and company culture. Clocking in at over seven minutes, this is one of the longest onboarding videos on this list, but it maintains the attention of viewers by explaining complicated concepts and legislation in an engaging manner. The video is actually split into two parts: The first half explains why new hires should be proud to work for the organization, while the second half details how the agency operates. Now for something completely different. Singapore-based software solution company Innocom Technologies has created an employee onboarding video that uses animation throughout. This colorful, creative clip features several animated slides that tell viewers about the company’s long-term strategic goals. Innocom Technologies starts by declaring their company mission before introducing the current solutions they have incorporated into their business. Animated characters appear on screen as the company presents important information about its structure, core team, and core values. The video ends by asking viewers to contact a member of staff if they have any questions. This onboarding video from the City of Edmonton covers a day in the life of their waste management department. With high production values, the video introduces new hires to the department’s various members of staff. It tells viewers what Waste Management Services does and what it plans to do in the future. A narrator engages with the audience and speaks to them directly as if she were in the training room. “You’ll find out why waste staff go home at the end of each day and feel good about what they do. And soon, so will you.” With this onboarding video, the City of Edmonton has done the unthinkable. They’ve managed to make waste management exciting. Pieces-to-camera, animation, voiceovers, graphics –the organizations above use various filming and editing techniques to introduce new hires to their company culture. These organizations all have one thing in common: They don’t skimp on production values. 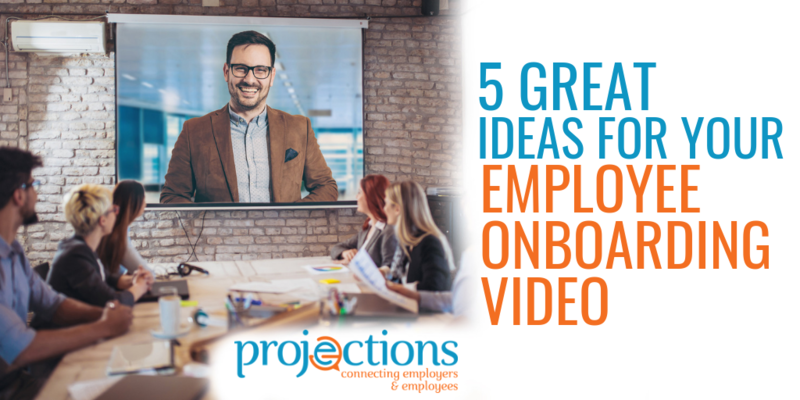 Remember, your employee onboarding video could be the most crucial component of your orientation process and set the tone for an employee’s entire tenure. This is why you need to hire an experienced, professional employee communication company to produce a video that’s as good as any on this list. You might think it’s a bit strange for a company who produces professional-quality video for companies to give advice on “do it yourself” video for HR. But employees, especially millennial employees, crave engagement, and HR departments are increasingly expected to communicate regularly with their workforce on both routine and critical issues. Videos can be a great way to communicate with employees and deepen engagement, but, really, should you create your own content? 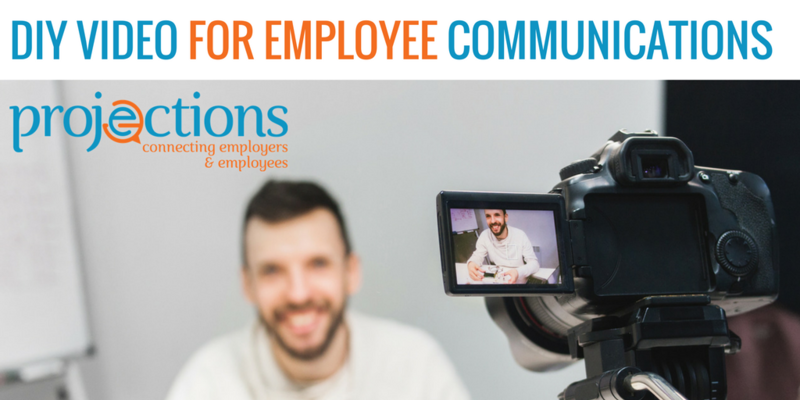 This article will consider the pros and cons of HR departments shooting their own employee communication videos – and you might be surprised! Do you have an iPhone? Good news, you’re an amateur filmmaker. Gone are the days when you needed to buy dedicated camera equipment. That phone in your pocket can take high-definition video and can usually autocorrect for poor lighting. There are a number of simple things you can do to make those handheld videos look better. Try spending 30 minutes to create consistent lighting conditions throughout your set (or if outside, try to minimize glare from the sun). You can also use multiple iPhones to get different angles. Newer models even shoot video in 4K, though this resolution will consume a great deal of memory. Even these basic techniques can give your videos greater credibility but once you use editing software, the quality of your content improves exponentially. Many amateur filmmakers use Apple’s iMovie, an incredibly powerful software platform that can make short films look fantastic. The software even allows you to start editing on your iPhone before finishing on a Mac. Once you start using iMovie, it makes sense to upgrade your other equipment to get the most out of the software. A good microphone will help capture high-quality audio, and a proper lighting rig goes a long way to make sure your subjects and set are appropriately lit. You can find royalty-free music on sites such as Premium Beat and Pond unless you intend to create your own. iMovie includes a large suite of editing tools such as time lapses, color correction and special effects. While these tools make your videos look great, it can take many months to fully understand how to use the software to its full potential. Technology has evolved to the point that with limited skill, you can create a great looking employee video. With a little editing and touch-ups, homemade videos can be distributed throughout your organization. However, mission-critical communications require a professional touch. During periods of heightened tension such as union organizing, layoffs or restructuring, you want to make sure your video surgically communicates the right message to the right audience. You only get one shot in corporate communications, and mistakes can be quickly broadcast on national news and social media. Everyone wants to go viral, but not for the wrong reasons. The good news is that there the team at Projections can provide first-class employee communication videos when the stakes really matter. Projections specializes in labor relations and provides award-winning, highly effective corporate communication tools for onboarding, union organizing campaigns, benefits rollouts, changes (such as facility closings or corporate restructuring), and especially for training and educating your workforce. A great way to deepen employee engagement is first-class videos, websites and e-learning. Showing your team members that you value their ongoing education is vital for morale and employee retention – not to mention your reputation as an employer of choice. The equipment needed to create quality videos is increasingly affordable, and there are a number of software tools to make your videos look more professional. For routine communications, creating your own videos is probably fine. For critical communications with your broader workforce, such as union avoidance, look to a professional that specializes in corporate communications to ensure your videos are focused enough to convey the right message to the right audience when it really matters.